Two volleys from Connor Jennings knock non-league Southport out of the FA Cup and earn Tranmere a tie against Tottenham. Who won your FA Cup goal of the round? There were some crackers in the second round of the FA Cup - but which goal did you vote as the best? Read more on Who won your FA Cup goal of the round? National League North club Southport earn an FA Cup second-round replay against Merseyside neighbours Tranmere Rovers. Southport reach the FA Cup second round for the second time in three seasons with a win over Boreham Wood. 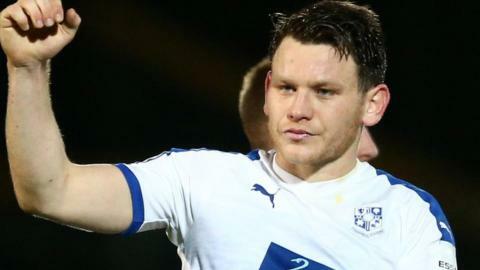 Watch highlights as two brilliant volleys from Connor Jennings help Tranmere Rovers progress past Southport and set up a FA Cup third-round home tie against Tottenham Hotspur.